"We're one of Sweden's largest CCTV firms, so we need to be able to connect cameras in many different ways. We're in the business of security systems, and need to keep the connection quality as high as possible," Carlsson explains. – We take security seriously here, as these images can't end up in the wrong hands. Carlsson always prefers fiber networks where they're available, in places like malls, but that's not always an option. 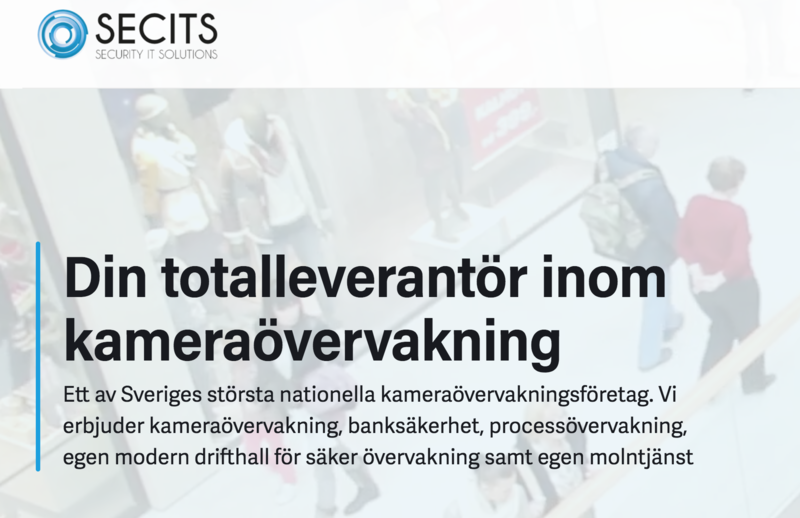 SECITS Sweden uses AddSecure Link through the mobile network in cases where a more self sustained solution is needed. "We use AddSecure Link to set up what we call active video surveillance. That means the cameras are being monitored from an alarm central, where the operator actively initiates the appropriate measures if there's an incident. This can mean contacting security guards, the fire department, a certain contact, or telling an intruder over loudspeakers to leave the site. AddSecure Link gives us a good, secure connection for this," Carlsson explains. Body cameras are a popular application for active surveillance, especially for security guards. This means wearing the camera on your body as you move around. AddSecure Link makes sure to keep a strong connection with the data center receiving the images, which are again being monitored by the security firm's employees. "There's a high demand for security guards at football games or other arrangements. Seeing as they're constantly moving around, we need to use mobile devices for this," Carlsson says. 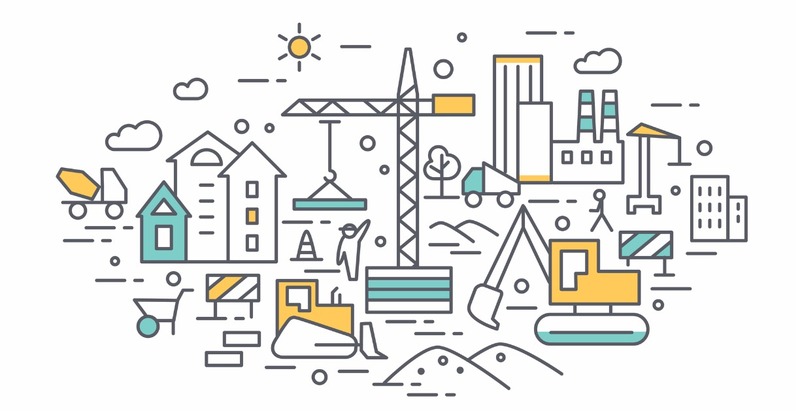 Carlsson also mentions another widely used application – construction sites where many entrepreneurs want constant updates on the construction process. "The building is constantly changing from one day to the next, and there's high demand for being able to move the camera around. There's often no fiber network on site, so those kinds of connections would prove impossible." If you're planning to monitor an area outside the city, you're again in need of a solution like AddSecure Link. This could be in the countryside, or surveillance of checkpoints connected to the mobile network. As long as there's mobile coverage, the monitoring can be done through AddSecure's solution. "On an active site – i.e. a site that needs to be monitored without access to permanent computer networks, fiber or otherwise – there are cameras which in these cases are connected to a router through AddSecures SIM cards. Then they're connected to our data centers, which are again connected to an alarm central, monitoring the cameras. SECITS has a large data center in Nordland, and from there we connect through a VPN to get the data from the cameras safely to their destination." Even though using a wireless or fiber network is safe, that's not always an option. This means the connection needs to happen through the mobile 4G network. This is an unsecured network, but by using AddSecure Link the connection is secured. "The main reason is the opportunity it gives us to be mobile. It also provides high speed, and a high connection quality – something that still tends to be a problem in the business. The problem lies with the amount of data. There's always limits to the amount. There are competitors here in Sweden who provides a flat rate subscription, which means the price is the same no matter the data amount. The problem with these solutions is that the upload speed is so low. With AddSecure Link, both upload speed and quality is top notch."